I have a RepRap Prusa Mendel 3D printer, being controller via a Sanguinololu https://www.google.com.au/url?sa=t&rct= ... u48479PcJR control board. 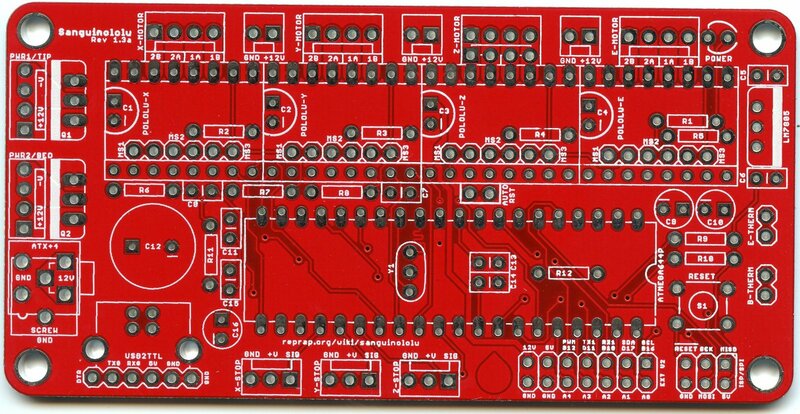 I am wondering if anyone has managed to connect the Freetronics OLED screen to this board (using the Marlin v1.1.8 Firmware) and the expansion pins on the lower right of the board (http://reprap.org/mediawiki/images/f/fa ... to-top.jpg? If so, what are the pins used and the marlin firmware changes needed to drive the screen? I understand from digging in to the Marlin firmware that controller screens are driven using the u8glib arduino library, which has support for the FTOLED display. I am just not able to determine the firmware changes needed and the pins to use to drive this screen. Any information would be greatly appreciated. Thanks..